Produktinformationen "DC SUPER POWERS COLLECTION WONDER WOMAN 35 cm MAQUETTE"
Tweeterhead is proud to announce the Super Powers Wonder Woman Maquette! 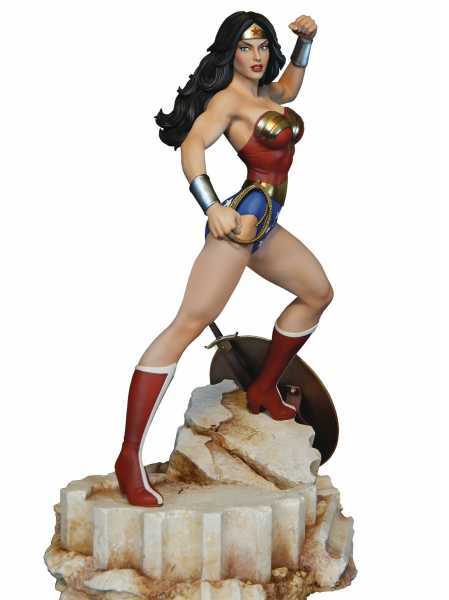 The Amazon Princess stands at an amazing 13 1/2" tall on her base and features her iconic red and blue costume with bulletproof bracelets and lasso of truth. Based on the design by Jose Garcia Lopez, this stunning statue is sculpted by Jack Matthews with paint design by David Fisher, making it a must-have for DC Comics or Justice League fans, so don't miss your chance to add the Wonder Woman Maquette to your collection! Weiterführende Links zu "DC SUPER POWERS COLLECTION WONDER WOMAN 35 cm MAQUETTE"
Kundenbewertungen für "DC SUPER POWERS COLLECTION WONDER WOMAN 35 cm MAQUETTE"